Jay recommends the 6-Stop and 10-stop versions of this filter. 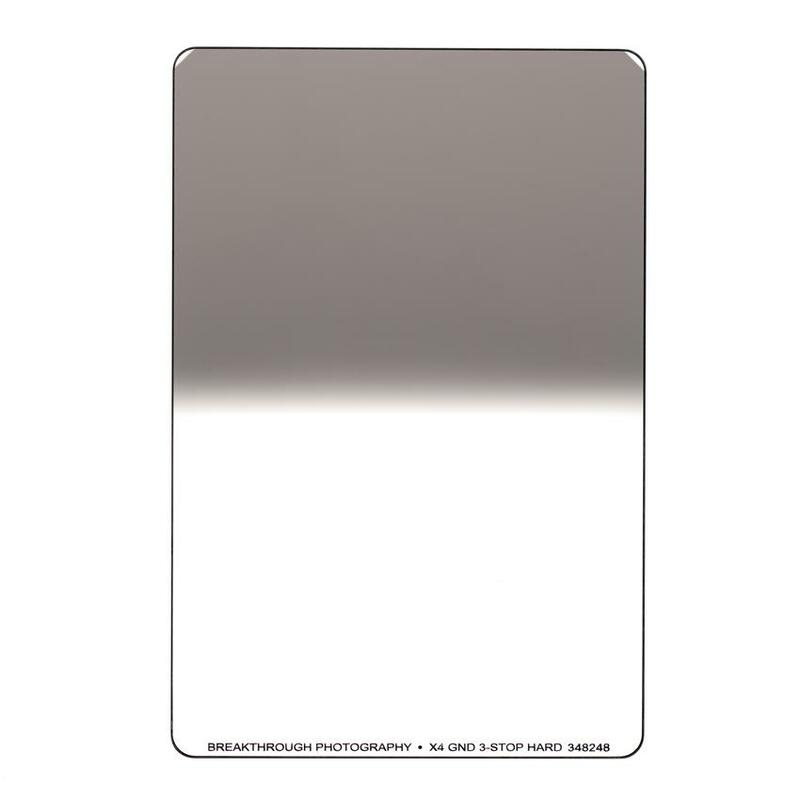 Breakthrough Photography’s cutting edge research and alternative manufacturing methods deliver the most color neutral ND filter for the discerning landscape photographer. In the time that it took them to achieve the X4 ND’s unparalleled color neutrality they also took their hand at redesigning the filter frame from the ground up. 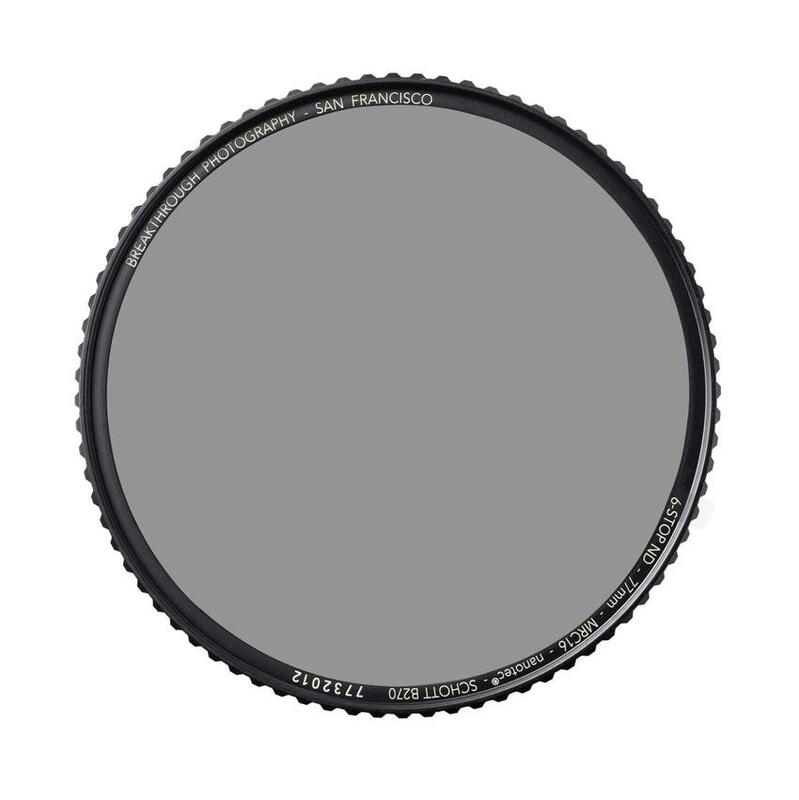 Most of the neutral density filters on the market exhibit a strong blue or magenta cast. The higher the ND factor the more pronounced the color cast. To achieve the most color neutral ND performance Breakthrough had to develop an alternative manufacturing method to the conventional oven process. Breakthrough’s state-of-the-art multi-resistant coating (MRC) is an optical coating applied to both surfaces of the glass disk to reduce reflection and to increase surface durability. Their proprietary MRC coating is structurally harder than the glass itself and the reduced reflections improve the efficiency since less light is lost. The reduction of reflections also improves the contrast of the image by elimination of stray light. The real world result? Better contrast and color. Low light transmission and green flaring are common problems with uncoated glass. As MRC coatings are added to each side of the optical disk light transmission steadily increases with flaring steadily decreasing. In Breakthrough Photography lab tests, light transmission apexes at about 16-layers of MRC, and slowly decreasing in transmission at 18 and above. 8-layers of MRC are applied evenly to both sides of each optical disk resulting in MRC16. 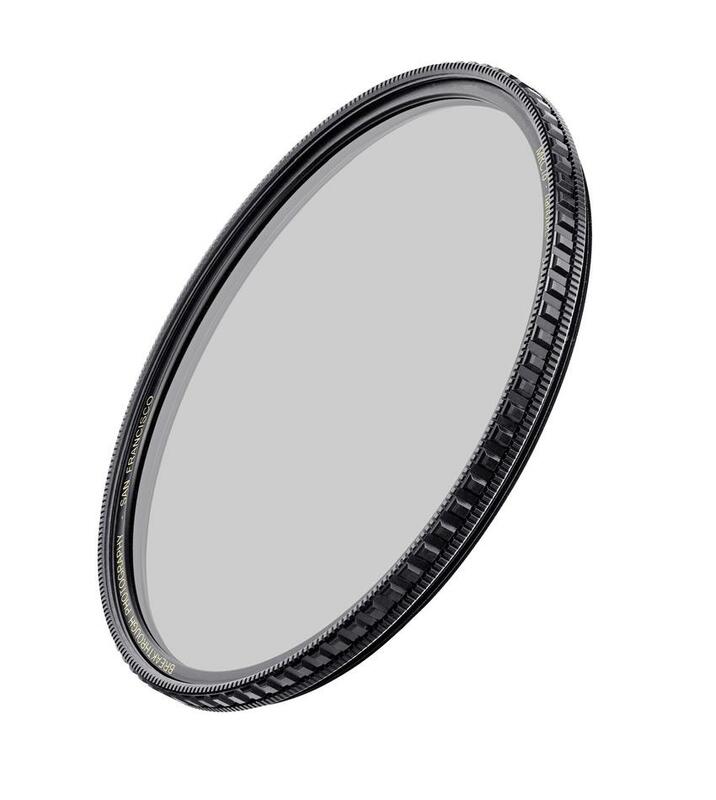 Traditionally ND filters are manufactured by baking glass at high temperatures and then grinding it down to desired dimensions. In Breakthrough’s experience manufacturing the X2 ND (which uses the traditional method), very color neutral results can be achieved if state-of-the-art equipment and raw materials of the highest purity are used, but the consistency of the color profile is not as precise as coatings technology. During the period of time that it took Breakthrough Photography to achieve the best color profile performance they also redesigned the filter frame from ground up. Constructed of high quality brass CNC machined with their signature traction frame, the X4 ND is easier than ever to attach and remove securely, even with gloves on in cold conditions – like Wyoming. Breakthrough specifically designed the X4 ND be a workhorse ND filter for field work, built to withstand extreme wind, salt water, dust and other abrasive conditions and elements, and they guarantee each X4 ND to perform with optimal clarity and color neutrality for 25 years even in the harshest of conditions. 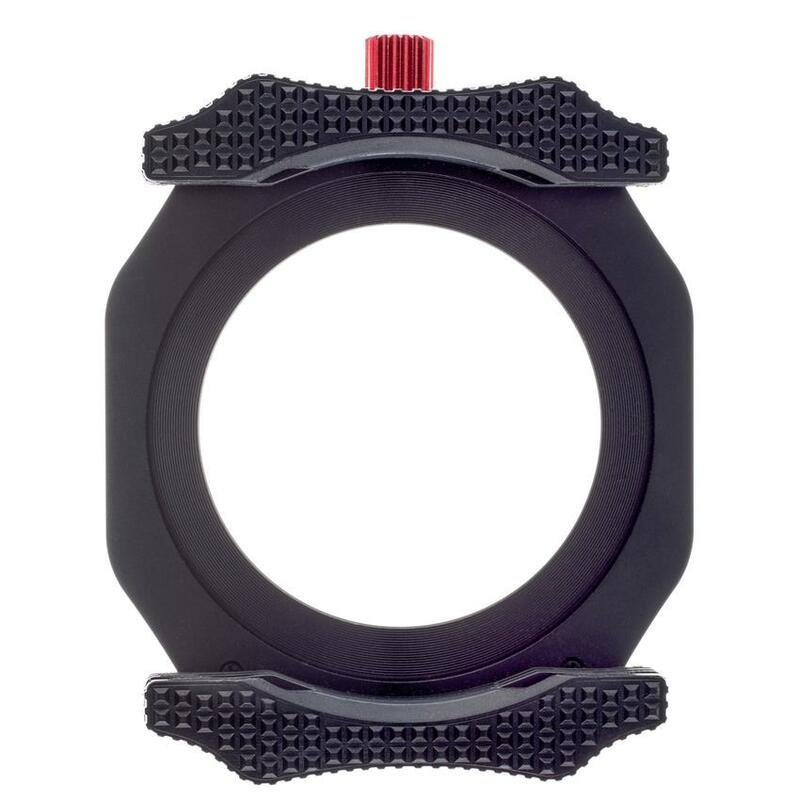 Breakthrough Photography’s state-of-the-art multi-resistant coating (MRC) is an optical coating applied to both surfaces of the glass disk to reduce reflection and to increase surface durability. Their proprietary MRC coating is structurally harder than the glass itself and the reduced reflections improve the efficiency since less light is lost. The reduction of reflections also improves the contrast of the image by elimination of stray light. The real world result? Better contrast and color. You cannot go wrong with longer exposures and this filter!